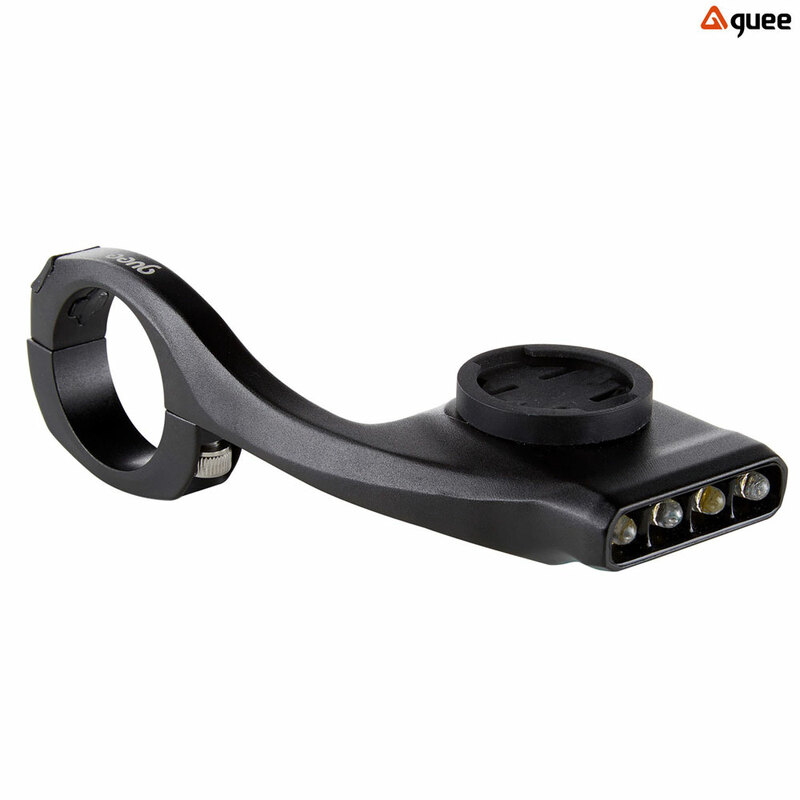 All in one bracket integrates a rechargeable LED light with 2 mounts; one for a cycle computer and one for a sports camera or GUEE headlight. A clutter free solution! Designed for touring and adventure riders, the rechargeable light has a row of 4 LEDs with an interchangeable bracket that fits Garmin as well as Sigma and Cateye (please see other listings for Sigma and Cateye compatible models). Can also be used with an under-bracket to mount a sports camera: Sony, Shimano and Go-Pro and those using a 1/4" camera mount adapter. The under-bracket can also be used for Guee headlights: SOL700Plus, SOL300, SOL300 Plus & SOL200 Plus. The under-bracket is sold seperately. Made from full CNC machined aluminium, the G-Mount is a slick and lightweight multi-bracketed lighting solution that reduces handlebar clutter. How many lumes dose 5he light give out?? G-Bracket is compatible with GARMIN Edge20, 25, 200, 500, 510, 520, 800, 810, 820, 1000 & all Touring models. The G-Bracket can be adjusted 90 degrees for the GARMIN 1000 in navigation model. The light gives out 50 lumens.